Tie-up programs offer unlimited number of entries. 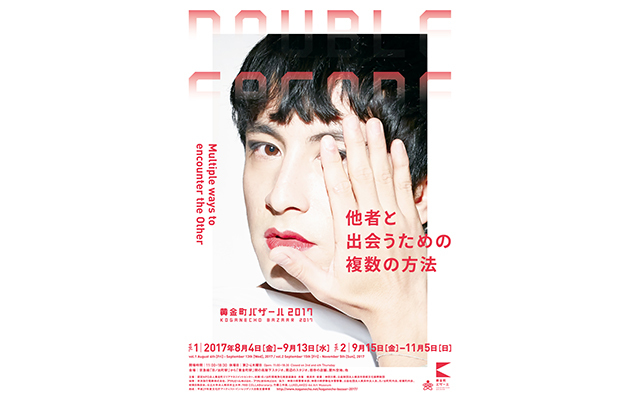 *Combination Tickets will be exchanged for passports up on entry to BankART Life V and Koganecho Bazaar 2017. Admission free for junior high school students, children and persons with disabilities* and their caretakers. Discounted rates for parties of 20 visitors or more. 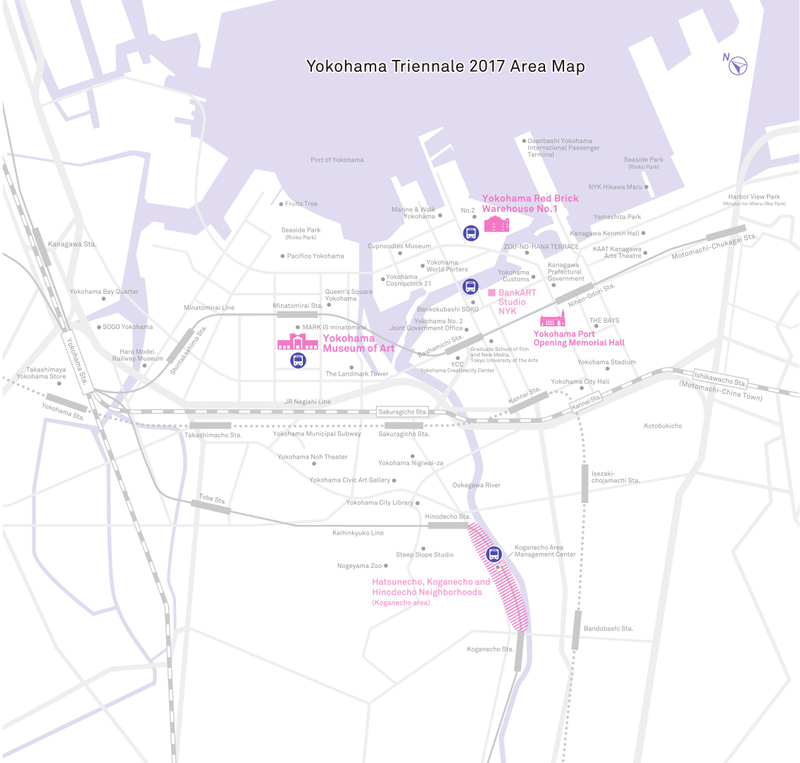 For more information please contact info@yokohamatriennale.jp. 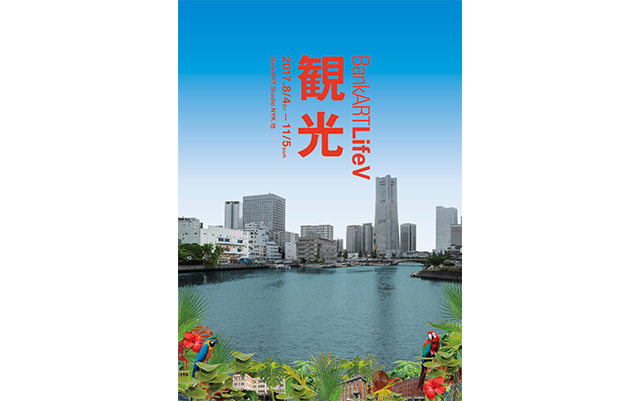 YCC Yokohama Creativecity Center *Adult and University/College Student Tickets only. [Hotels]＊Only for guests who stay/use restaurants or shops etc. 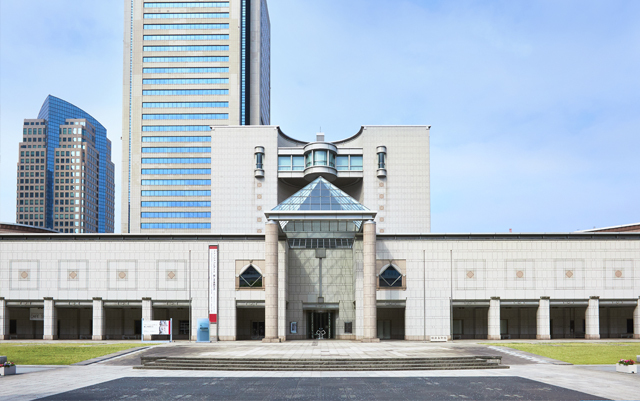 *Tickets issued by ticket agencies must be exchanged for Triennale Ticket/Combination Ticket at Yokohama Museum of Art or Yokohama Red Brick Warehouse No.1. *When purchasing tickets, there may be a service charge, etc. in addition to the ticket fee. Please verify the price when purchasing. 10 minutes walk via moving sidewalk from Sakuragicho Station. 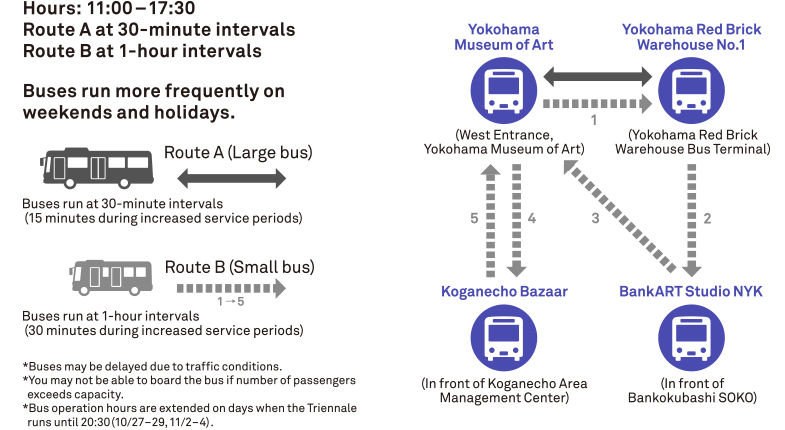 About a 6 minute walk from Bashamichi Station or Nihon-Oodori Station. About a 15 minute walk from Sakuragicho Station or Kannai Station. 1 minute walk from Nihon-Oodori Station. 10 minutes walk from Kannai Station. Free Buses are no longer available. 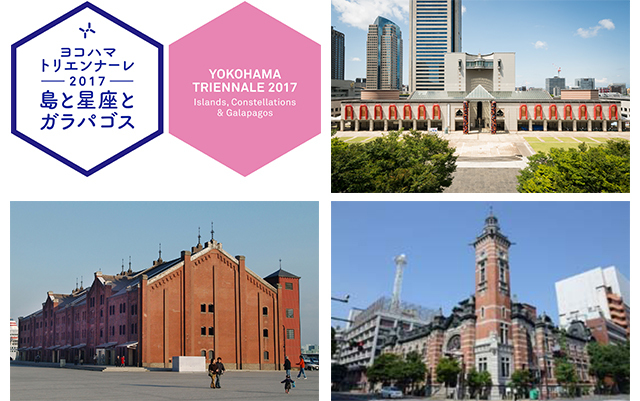 Free bus service is available between venues for Yokohama Triennale 2017 ticket holders: Yokohama Museum of Art / Yokohama Red Brick Warehouse No.1 / BankART Studio NYK / Hatsunecho, Koganecho and Hinodecho Neighborhoods (Koganecho area). A limited number of umbrella stands and baggage lockers are available at both venues (free of charge, 100 yen returnable deposit). For oversized luggage, please ask for assistance at the reception. 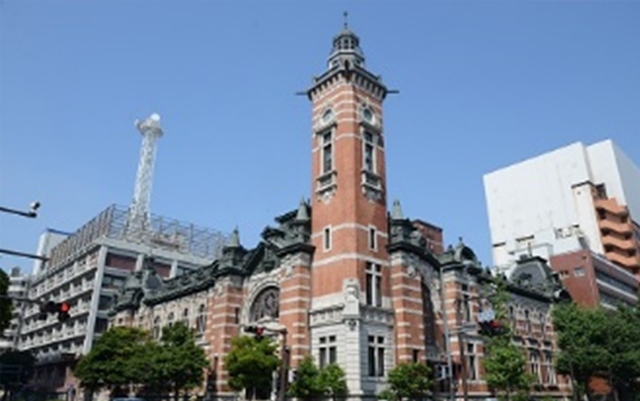 Elevators are available at the Yokohama Museum of Art and Yokohama Red Brick Warehouse No.1. 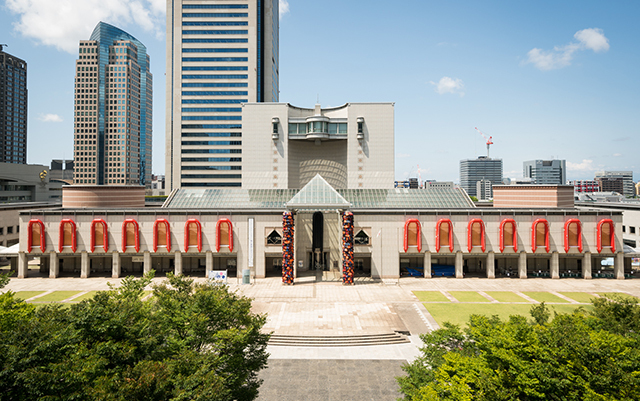 At Yokohama Port Opening Memorial Hall (basement), there is a passageway with a ramp to enter the venue. Please inform the staff for assistance upon arrival. Rental wheelchairs and strollers are available at each venue (numbers are limited). *Visitors may be asked to leave strollers during busy hours. Rental baby carriers (slings) are also available. Please contact the nearest staff. Multi-purpose restrooms and diaper changing areas will be available at all venues. Yokohama Museum of Art: Nursing room is near the entrance to the lecture hall. Please ask the staff to unlock the room. 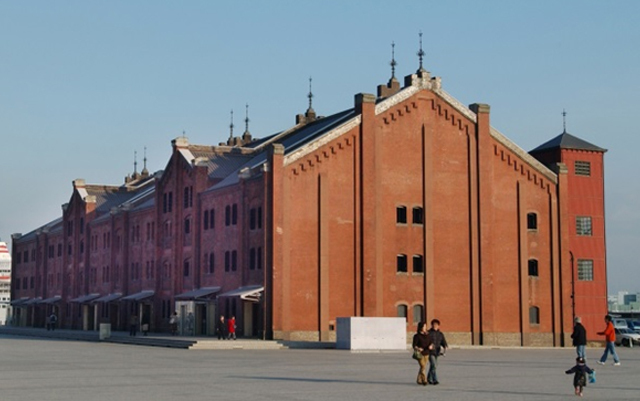 Yokohama Red Brick Warehouse No.1: There is a nursing room on the second floor of Yokohama Red Brick Warehouse No.2, across from Warehouse No.1.